You can link Invision Community with a Wordpress site to allow users to sign into one community using their credentials from another. 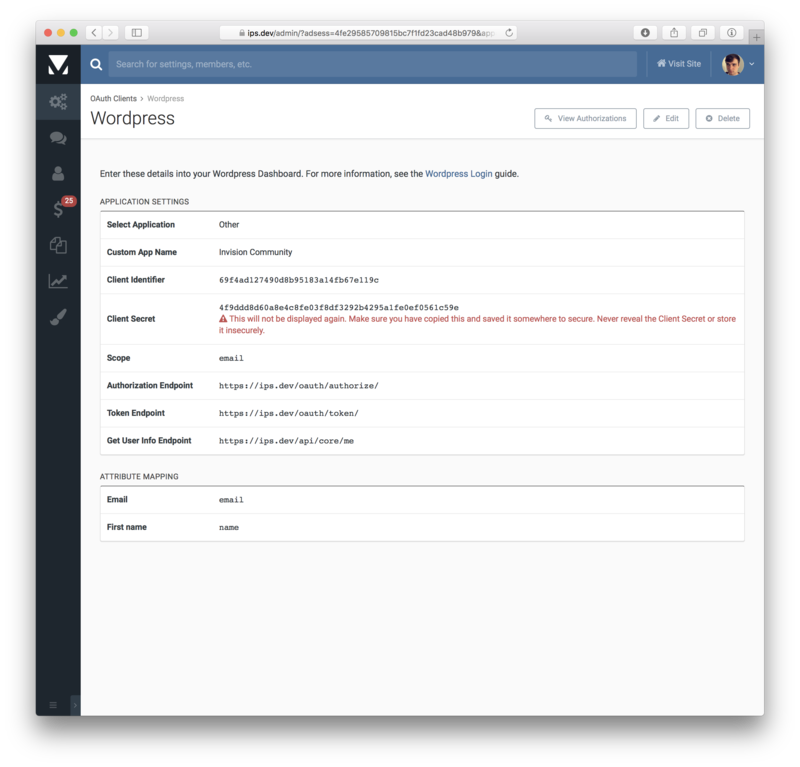 Allow users to log into your Invision Community with their account on a Wordpress site (Wordpress as the Server). 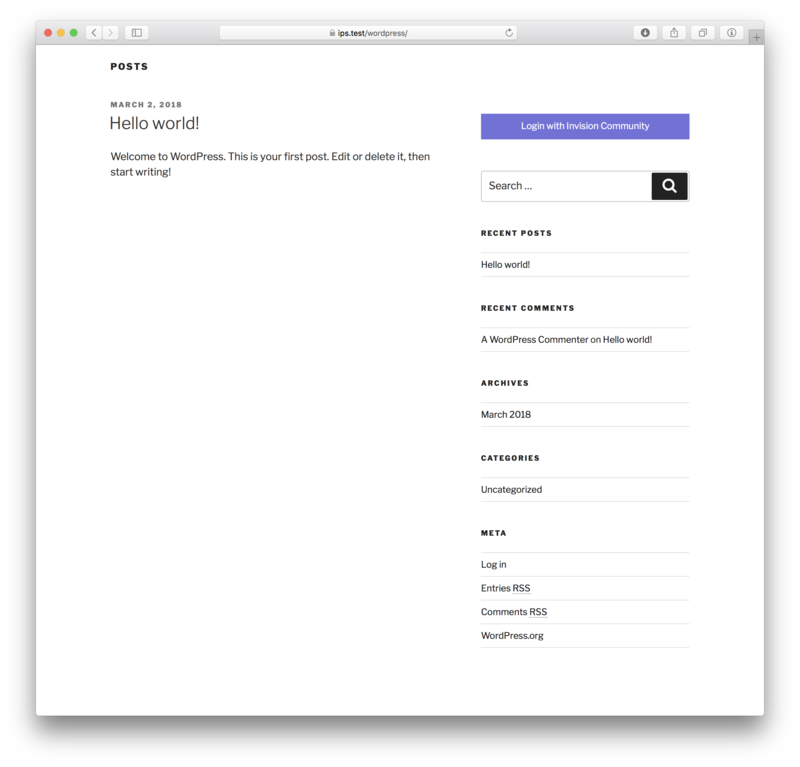 Allow users to log into your Wordpress site with their account on an Invision Community (Invision Community as the Server). Only follow the instructions below for which direction you want. SSL is required on both Invision and word press. First you will need to install the OAuth Server plugin for Wordpress to enable OAuth functionality on your Wordpress site. To do this, from your Wordpress Dashboard, go to Plugins > Add New, search for OAuth server. Find the miniOrange OAuth 2.0 Server/Provider by miniOrange (there are several plugins with similar names available) and click Install, and once it has installed, click Activate. After it has installed, go to the new miniOrange OAuth Server section and follow the instructions to complete the registration process. 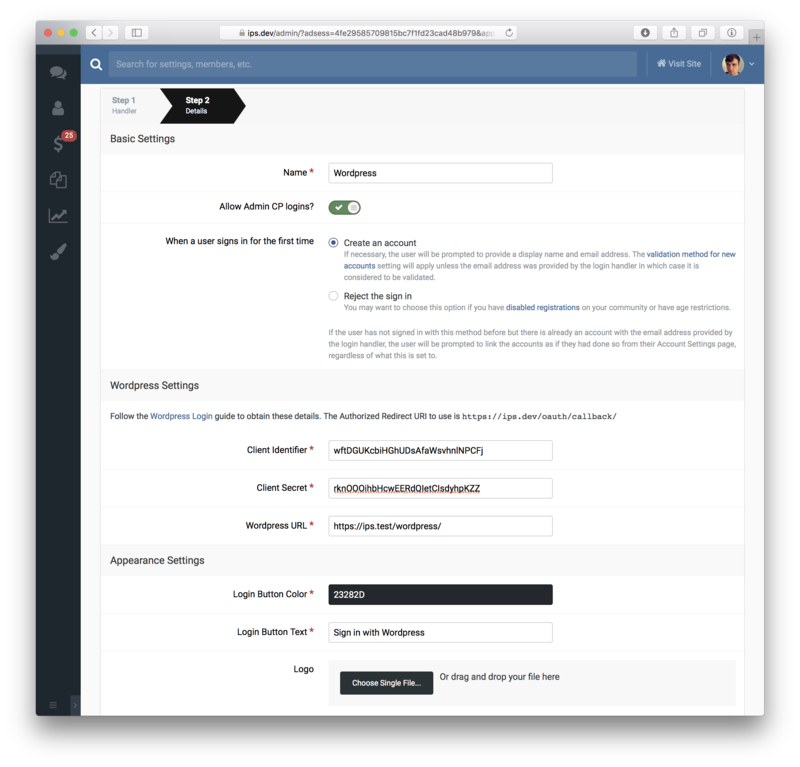 On your community, go to AdminCP -> System -> Login & Registration, click Create New to setup a new login method and choose Wordpress. 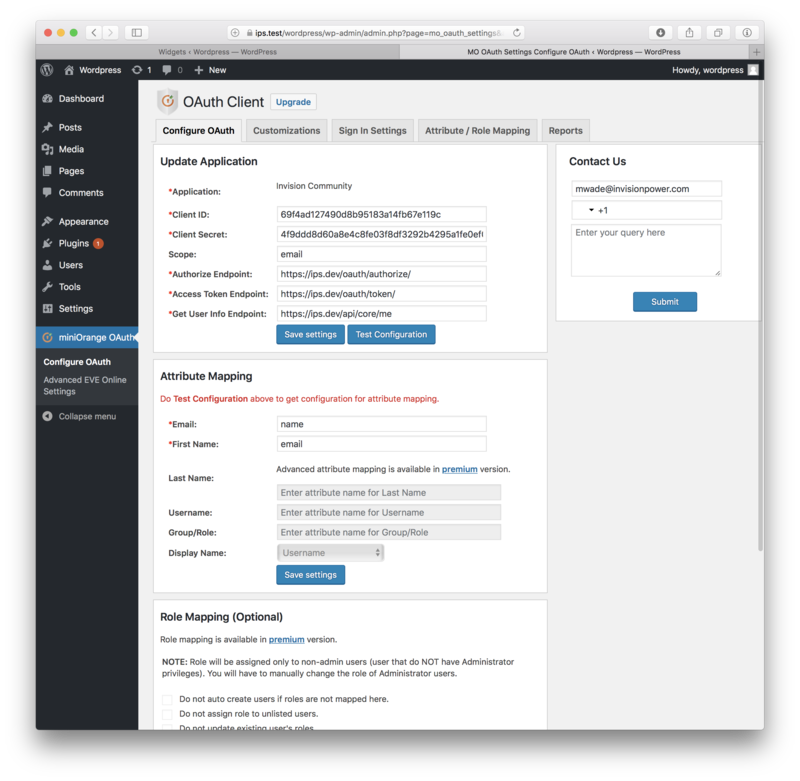 Meanwhile, from your Wordpress Dashboard, go to miniOrange OAuth Server -> Add Client. Enter a name (such as the name of your community) and for the Authorized Redirect URI field enter the value shown in your AdminCP, which will be your community's URL ending with "/oauth/callback/" on the end. You should now see a screen with a Client ID and Client Secret. Back in your AdminCP, fill in the form, using the Client ID and Client Secret that you just obtained. You will also need to configure the text, color and logo to use for the button that users will click on to log in. You should now be able to log into Invision Community through Wordpress! On your Invision Community, go to AdminCP -> System -> REST & OAuth and click Create New and fill out the form selecting Wordpress for Client Type. You will then see a screen with details you will need to enter into Wordpress. First, from your Wordpress Dashboard, go to Settings > Permalinks. You must have the Post name option selected. If you haven't, change this and save the form. Next you will need to install the oAuth Login plugin for Wordpress to enable OAuth functionality on your Wordpress site. To do this, from your Wordpress Dashboard, go to Plugins > Add New, search for OAuth login. Find the OAuth Single Sign On - SSO (OAuth client) by miniOrange (there are several plugins with similar names available) and click Install, and once it has installed, click Activate. After it has installed, go to the new miniOrange OAuth section and follow the instructions to complete the registration process. 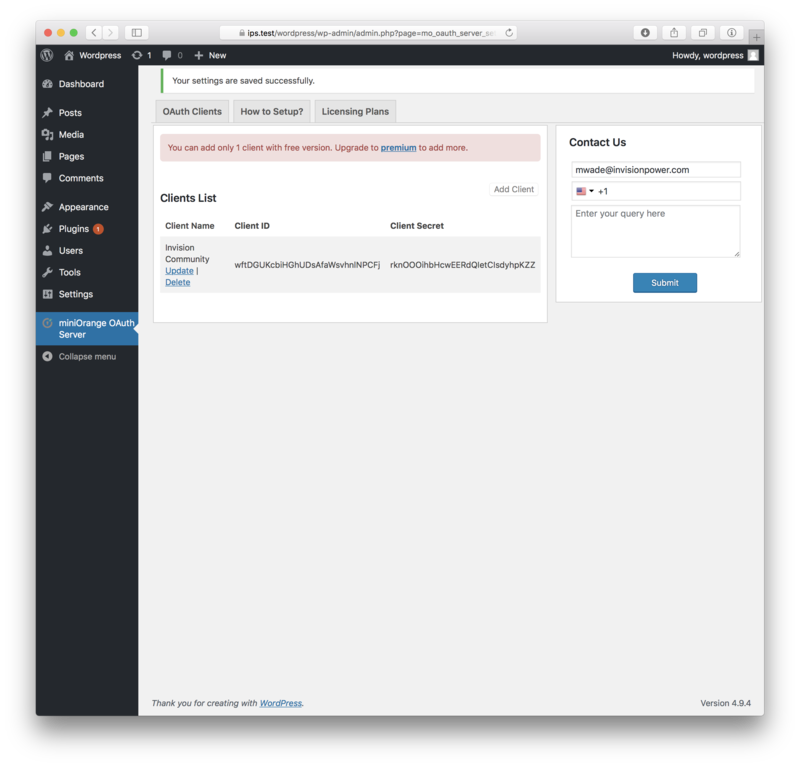 You can now enter the client details in Wordpress. Enter all of the details exactly as they are shown in your Invision Community AdminCP. Please note: we have noticed that if you choose the "Invision Community" option, some versions of the plugin pre-enter the value for Get User Info Endpoint as https://<your-domain>/oauth/core/me but the correct value is either https://<your-domain/api/core/me or https://<your-domain/api/index.php?/core/me - make sure you enter the correct value shown in your AdminCP. You then need to add the sign in button in your desired location. For details on how to do this, go to the Sign In Settings tab for information. You can also configure how the button appears under the Customizations tab. Once this is done, you will see the sign in button on your Wordpress site.